Julian notices as Mike yells, "what have I done?" over and over again. Jason gets Kristina out to safety. Sonny takes Kristina to the hospital. Mike insists on going as well, so Jason takes him. The fireman tells Julian the explosion was contained to the basement (cuz that&apos;s how explosions work). Chase questions Julian and asks if he knows what caused the leak. Julian remembers Mike&apos;s words, but denies knowing anything. Drew continues to be concerned about Oscar. Sam tells him to take things one day at a time and to enjoy his son. Alexis arrives, so Drew leaves. Alexis is worried that Kristina&apos;s on a downward spiral. Sam admits that Kristina&apos;s struggling, but warns her mother to stay out of it. Liz mentions to Franco she found Kalinda of Everwood pencils under Aiden&apos;s bed. Franco explains about the altercation with the boys in the park. Liz chastises him that she needs to know when these things happen. Franco admits he&apos;s struggling as a stepfather, but moreso with Cameron. Liz decides they need to be on the same page about co-parenting. They understand the boys are going to need to adjust to Franco. She figures they need to communicate better and figure these things out together. Drew runs into Margaux, who&apos;s having a bottle of wine to celebrate her father&apos;s birthday. She explains to Drew that her father left her when she was 2 years old. She later found out he was a mobster. She figures he was killed. Drew says he now understands her determination in bringing Sonny down. (Let me guess, our dead Croton body is Margaux&apos;s dear old dad). 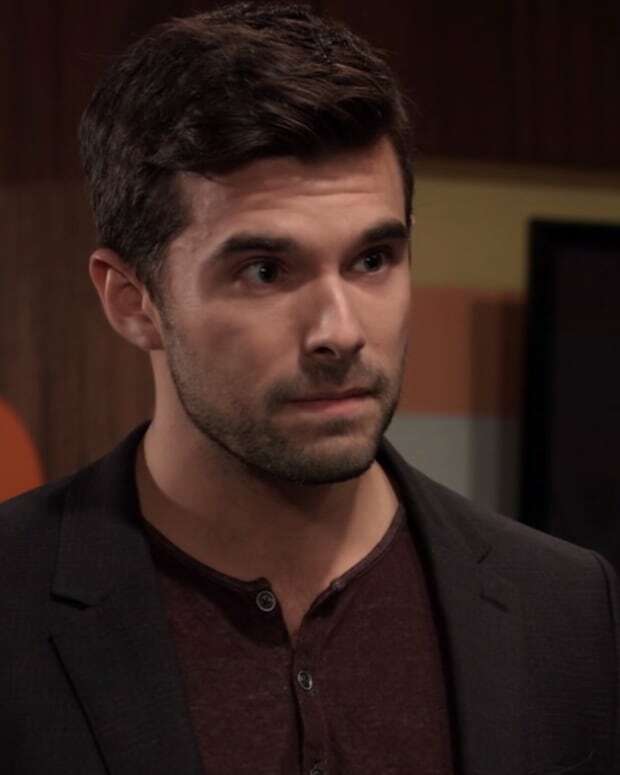 Drew warns that other DAs have tried to take Sonny down, but have failed. Kristina has a concussion and is told to hang out at the hospital for a bit. Julian calls and lets Alexis know. She and Sam head to the hospital. Kristina claims she went back into the bar to get her phone. Mike tells Jason he did something wrong, but doesn&apos;t seem to remember what it was. Sonny knows that Mike started the gas leak. Jason agrees, saying Kristina went back in to get the wrench, which is now in his possession. Sonny&apos;s worried about keeping Mike safe. Julian stops by the hospital to check on Kristina. 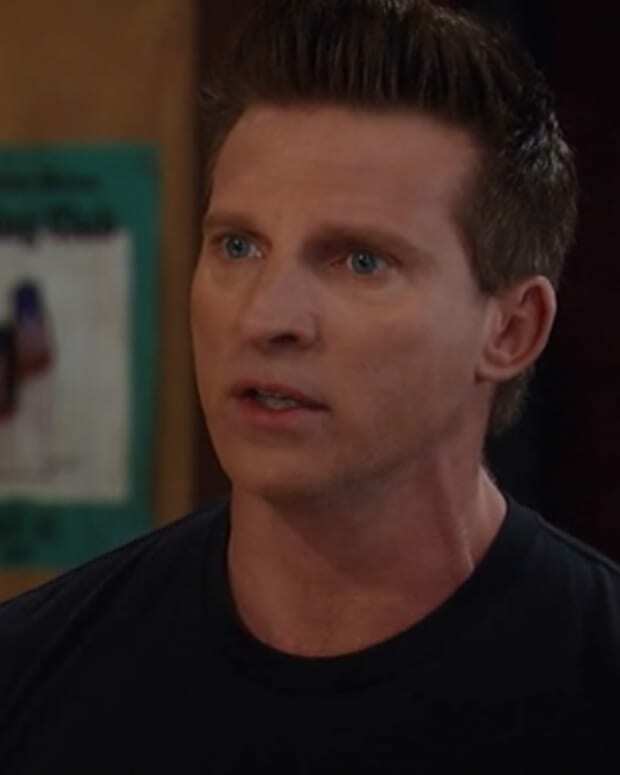 He warns Sonny and Jason that Chase was asking questions, but that he didn&apos;t say anything. The fireman tells Chase the gas valve was broken on purpose. 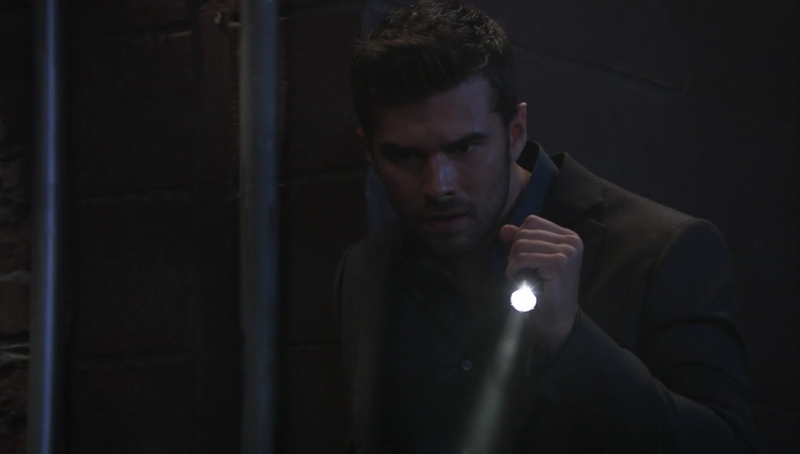 Chase decides to head down to the basement to check things out. The basement is ridiculously intact, including a perfectly unbroken window. There are couple of Bristol board looking pieces lying around. Chase moves a piece and finds a skull. Just like that. Julian didn&apos;t need to make renovations to find it. All he had to do was sweep the floor.